why start with an Online Strategy in mind? Yes, there are sound universal business practices that should be used at start-up and during growth (Online Strategy included), which would have you in the best shape when the urge to purge takes hold. However, even if you only start getting your ducks in a row now, it will all work out swimmingly. 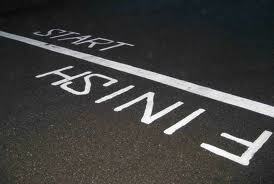 In a nutshell, to “start with the end in mind” is a mindset thing really, as much as anything else. Closely followed getting a handle on the form your business takes in terms of how a Business Buyer will see and value it… and it can all start today. Even if you don’t have dreams of exiting your business through a sale (or something similar), what shape is your business in right now? How 21st century is it? I’m sure you will be familiar with the old “how, what, when, where, why”. Add the “who” and you’ve definitely got the nucleus of your Online Strategy covered. Why did you go down the path of setting up your business? For what purpose does it serve? Emphasis on the personal only ie “b)” is interesting in terms of your story but it only forms part of it. It’s imperative that there is a larger story at play at the same time, so that the attraction to the business from the external continues whether you are part of the mix or not. Online, of course, lends itself to this perfectly!